Along with touring the world with Snow Patrol and playing a key part in the supergroup Tired Pony, taking center stage with his own record was inevitable for Troy Stewart. Rather than release a solo effort, the Texas native has assembled another supergroup in its own right, albeit an understated one. Stewart has brought together players who have worked with the likes of R.E.M., Belle & Sebastian, Elbow, and Emmylou Harris to create The Windsor Player, a fresh take on Americana. The band’s sound is quintessentially Southern, with acoustic guitars and fiddles complementing Stewart’s subtle twang, but there is a global influence that impacts the record. The band has more in common with Neil Young and Johnny Cash than modern country acts, and even though many of the lyrics describe bleak rural landscapes, the loneliness and hope that they convey are universal. For a debut album, The Windsor Player is quietly confident, unafraid to shun conventional song structures in favor of making every second and every instrument count. The opening track, “Release,” for instance, builds from the sound of warming up to sparse acoustics and strings that augment Stewart’s vocals. “Prayer for a Day” has a catchy pop sensibility, but rather than veer into the commercial, this band allows the uplifting swell of their instruments to provide just as much of the emotional impact as the lyrics. Other notable tracks include “Empty Well,” a lament on distance that would ring true for any musician, and “Just a Song,” a fusion of funk and country that provides a smirking look into the process of songwriting. 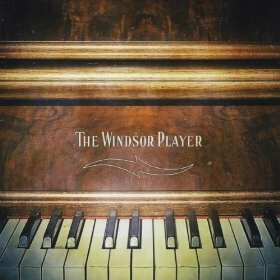 If The Windsor Player conveys an image of a piano in the corner of a saloon, then it’s best to sit down and drink it all in. This album is made for the music and the experience, not the glory, and it’s a true pleasure to listen. This really is such a great CD. I found out about via the Snow Patrol website. It’s great driving with the top down music on a long road trip. I love this CD and thank you for reviewing it! I went to high school with Troy so I was curious about his sound which is why I bought the CD. Even if I didn’t know Troy, I would still recommend his music to people. I don’t claim to be a music guru, I just know It is really good! Good job Troy! Wonderful and accurate review of the record! It really is a beautiful record that deserves to be enjoyed my music enthusiasts everywhere.